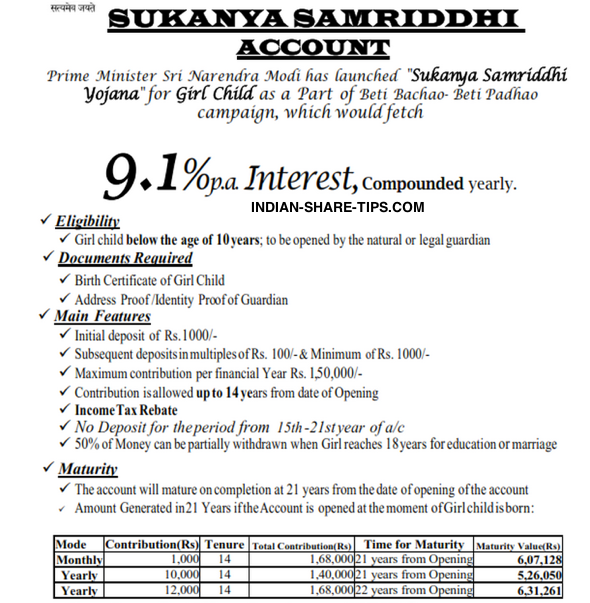 Sukanya Samriddhi Account - Is it Worth the Effort? Lot of hue and cry is being made about Sukanya Samriddhi account for the girl child but the returns is bare minimum as one can get almost similar returns by going in for FD's. One can get 9% FD from Yes bank and that too with minimum lock in period. So do not rush as lock in period id large in case of Sukanya Samriddhi and thus undertake the pros and cons before jumping for it. Get free latest fixed deposit updates in email here.